Sunday, 9 September 2018, 9:49a.m. The mother of Kiwi triplets killed in a mall fire in Qatar is set to share her story at a series of workshops across the country in a bid to help other families navigate the tragic deaths of their young ones. 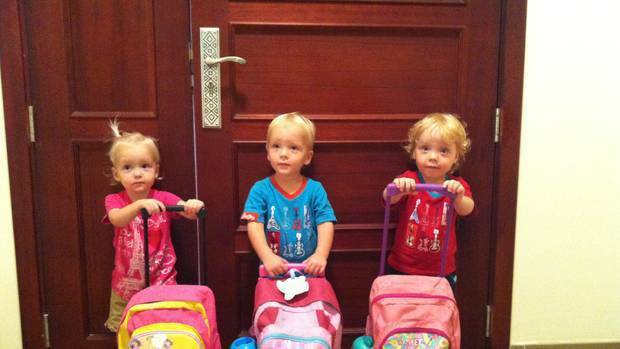 In May 2012 triplets Lillie, Willsher and Jackson died when a fire broke out at the Villaggio shopping mall in Doha. Their parents Jane and Martin have battled for answers - and justice - ever since. Jane is now going to share her experience, including some of the darkest moments that she rarely speaks about or lets herself think about, in the hope it will prevent other parents going through the same level of devastation. She has teamed up with Vicki Culling, who runs a business offering training for health and care professionals around perinatal and infant loss, for a series of workshops called Tragedy, trauma and grief: how can I help? "It's a hard thing helping people go through something tough," Weekes said. "If there's anything that I can do to make a difference, that's really important to me." 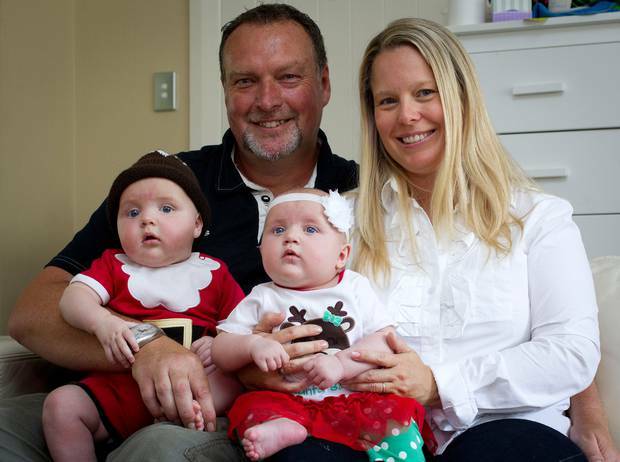 Six years on from the triplets' death Weekes still struggles with the loss. But she has learned to cope. The birth of her twins Poppy and Parker in 2013 and baby Gunner in late 2017 has helped to ease her pain. While Weekes has her hands full with the trio, she's determined to use her experience and education to enable other families to navigate loss. "I think there will be parts of it which I haven't talked about a lot which will be difficult to share and I'm really mindful of not retraumatising myself," she said. "I'll be going through talking about waiting to find out news, having to tell people what happened, being at the hospital, being at the mortuary - they tend to be the things I don't, even in six years, spend a lot of time thinking about because it's awful. "But people need to know - and people who come into contact with grieving parents are so important. They've got one chance to get it right. "Some things done for us were incredibly helpful but other things were incredibly unhelpful." 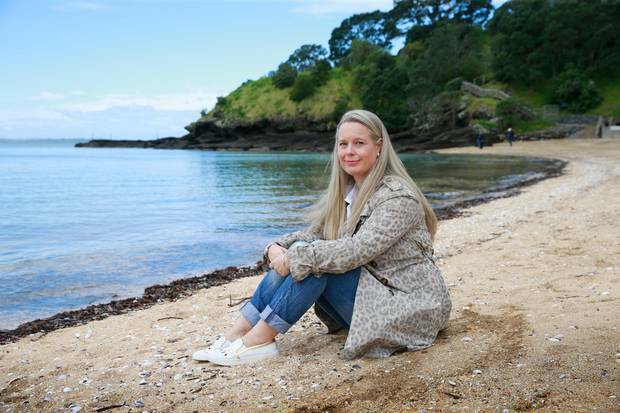 Culling's first daughter was stillborn in 1998 and since then she has worked to specialise in supporting bereaved families and caregivers dealing with similar losses. She has been heavily involved with Sands - a voluntary, parent-run, non-profit organisation set up to support parents and families who have experienced the death of a baby - and met Weekes at the 2015 national conference. "I had thought I would like to do some work with her and she was thinking the same thing," Culling explained. "Jane's experience of tragedy, trauma and grief is multi-layered - multiple loss, dealing with loss in a foreign environment, grieving under the spotlight of international and national media, dealing with social media, experiencing the deaths of all of her children in one incident, as well as grief, the universal response to the loss of those whom we love. "I knew Jane had gone on to graduate with her counselling degree and was working with families, so it felt like a natural fit to work together on how we might share the knowledge we have in this area." Culling said her speaker series - an annual line up of workshops - was about sharing knowledge on grief and loss, providing the opportunity to talk about trauma and grief, looking at how best to provide support, and ultimately making a difference to the experience of bereaved parents and families in our community. "I think Jane's experience, her subsequent studies and her willingness to share her knowledge will be helpful to those front line workers and as a result, to those who are grieving," she said. "In this workshop we'll be talking about offering hope to families for whom life feels very hopeless, and navigating life with the 'new normal' that our tragedy has presented us. "Jane can talk about this both from a personal perspective and a theoretical one; this is a unique position and one that I think professionals will find valuable and inspiring." The half-day workshops will be held in Auckland, Wellington, Christchurch and Dunedin. While they are aimed mainly at people working with bereaved families, parents and other relatives could also benefit. "In my many years of supporting bereaved parents and running support groups, I've heard stories of how different professionals - obstetricians, midwives, counsellors, social workers, funeral directors - didn't seem to know what to do or say to a family following the loss of a baby or child," Culling said. "Parents would also comment on how people 'just didn't get it'. "That's why I started my business which provides training and education on perinatal and infant loss, grief and bereavement support to health and caring professionals. The Speaker Series is one of the ways I do this. "The workshops are aimed at anyone who comes into contact with bereaved parents, families and whanau in a helping or supporting capacity." Weekes said speaking publicly was nerve-wracking, but she was willing to help where she could. "The fact I'm able to stand here six years after (the triplets died) and it's still painful but I still have a great life, that helps to give people hope," she said. "It's nice to be able to talk with people who will be helping other people, it's an opportunity to reach more people." Weekes said her biggest piece of advice to parent who had suffered loss - recently or otherwise - was simple. "As hard as it is and as raw and painful as it is when something first happens - it won't always stay that way," she said. "It will take time, there is no structure or timeline or rule book for things to feel better, but they will."